Vice President Mike Pence's meeting with the Freedom Caucus tonight didn't win their votes for a new Trumpcare deal — yet. But Freedom Caucus chairman Mark Meadows said they were intrigued enough to want to see new legislative text, which could come as soon as tomorrow. 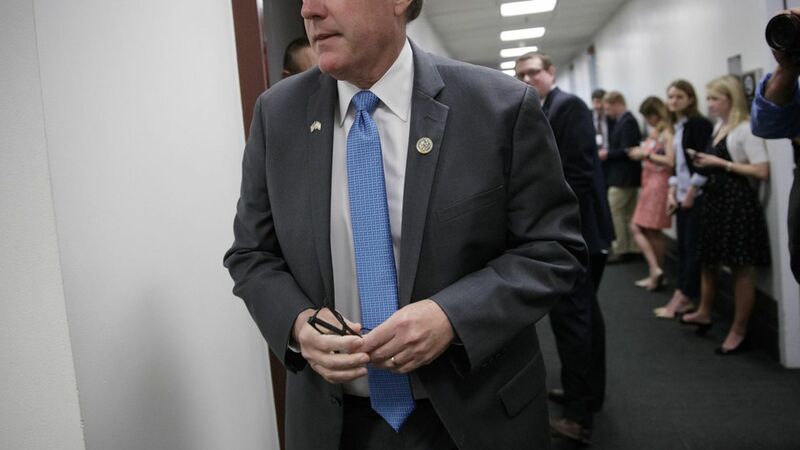 "We're encouraged by at least the idea, intrigued by the idea, but would certainly need more information" on the proposal to let states opt out of some Obamacare insurance regulations, Meadows told reporters after the meeting. Brace yourselves: If the deal comes together, Meadows said the hope is that the House would vote on the revised Trumpcare bill before leaving for recess.